Keith, my fellow New Yorker and old time high school friend, moved to Boston this year to attend law school. He’s usually boarded up in a library somewhere getting smart, but every now and then he let’s me steal a few hours. We met Sunday morning. 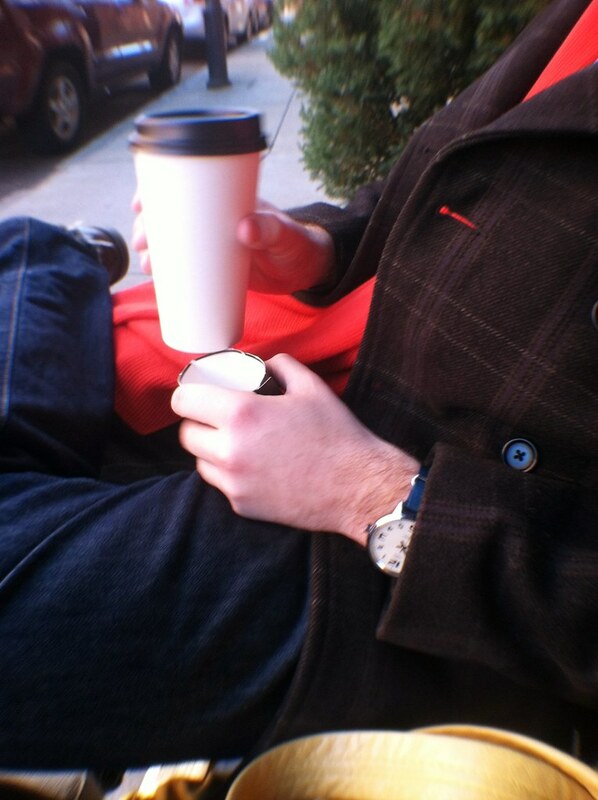 Knowing me all too well, he came armed with two cups of hot, black coffee. I’ve been trained by American media to feel like one of those ridiculously beautiful women, who sits on the couch with my perfect white ceramic cup of coffee, humming the tune the best part of waking up… and while I’m at it, why not also throw in a marathon or better yet, an Irish step dance class. Yes, coffee to me means it’s Sunday morning and it’s time to slow things down. We strolled along the streets, paying a visit to a small Italian church, commenting that we’d want to be included in some kind of Italian guild where old men say things like, “when I was your age…” Yeah, that would be pretty sweet. 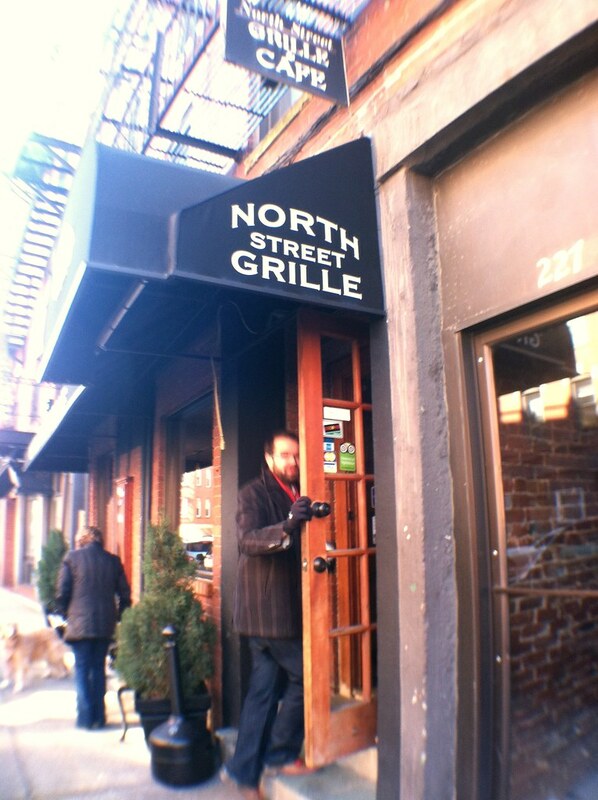 We reached the North Street Grille, tucked away in the old world charm that is the North End. And then quickly transported to the 21st century, we were welcomed back with a nice long wait in a crowded walkway, practically standing on top of the unfortunate diners who were seated at the entrance side of the bar. After 45 unpleasant minutes of playing human Tetris, we were finally seated. 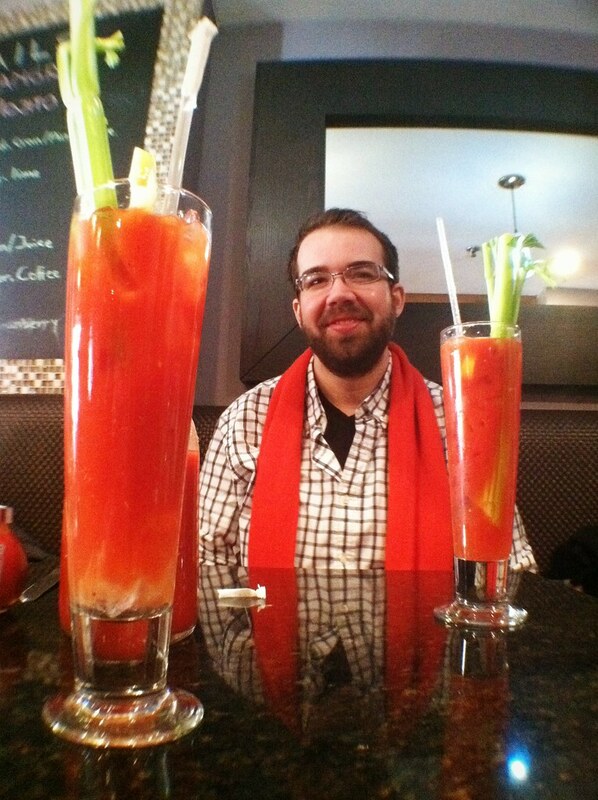 As soon as we sat, the order for a bloody Mary carafe went in. 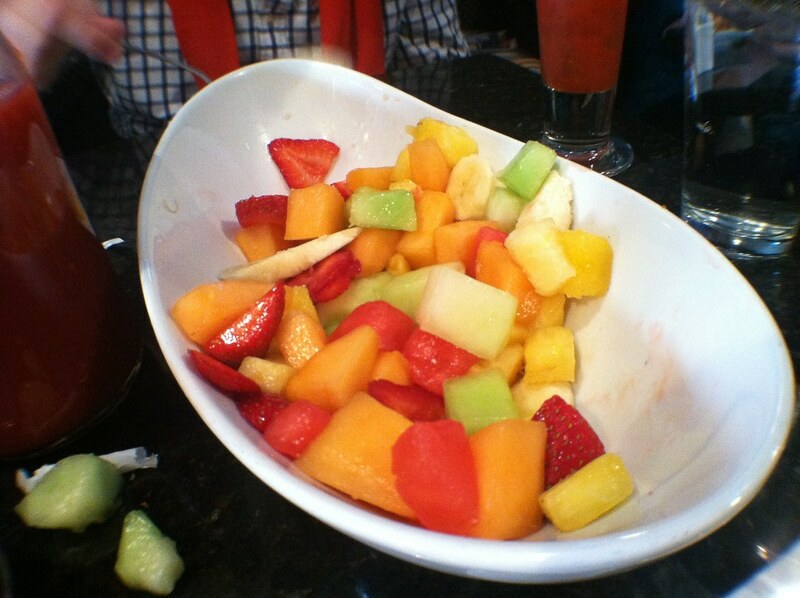 Still feeling a pang of guilt for my unhealthy decisions at the Hungry Mother the night before, I ordered us a bowl of fresh fruit. 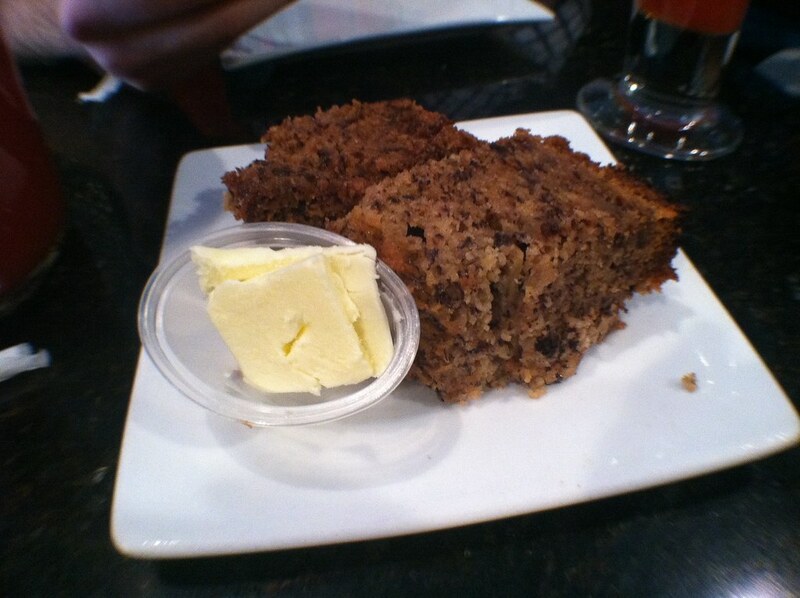 We also received complimentary banana bread, which I’ve always had a soft spot for ever since I was a child. Big ups, NSG. Big, big ups. Keith, perfectly coordinated with our drinks and my mega monster egg sandwich from Mars. I can’t do sweet for breakfast, so I ordered an avocado, bacon, egg and cheese on an English muffin. When it came out, my eyes literally bugged out of my head. This wasn’t a singular egg, it was practically a 5 egg scramble piled high on a sheet of crispy woven bacon and covered in melted cheese. Note, the avocado came on the side as I’m sure gravity would have taken its toll had anyone attempted to assemble my sandwich with another vertical inch of filling. My first bite was clumsy, the kind where you know the end of your sandwich is going have a poor bread to filling ratio. 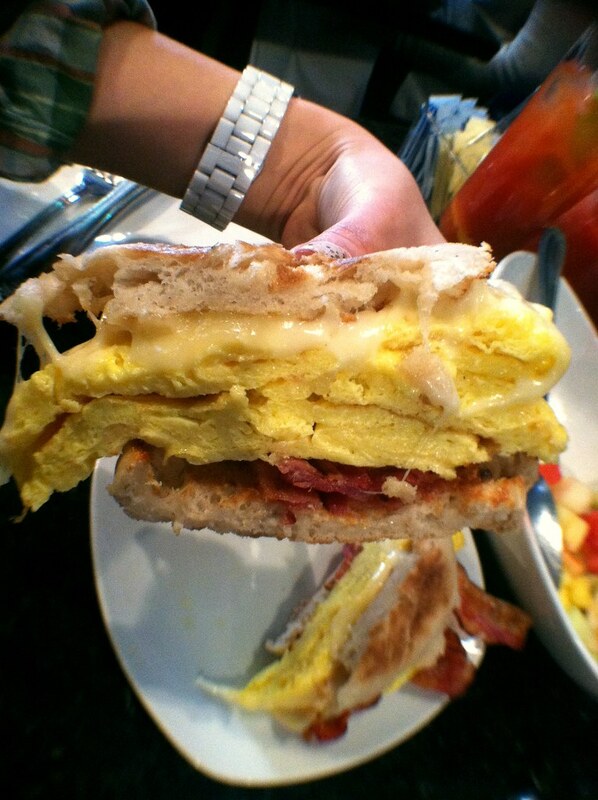 Nevertheless, the eggs were fluffy and hot and the bacon was crisp the way good bacon should be. I took a few hearty bites before I admitted defeat and removed a layer of egg. Sadly, I only ate half the sandwich because I had ingested all but a few pieces of fruit from my Noah’s arc sized bowl. The verdict? This place puts out good, straightforward brunch fare. There’s nothing outstandingly original, but why mess with the classics? If it ain’t broke, don’t fix it, right? I could have done without the wait, but with no reservation for brunch on a Sunday I’m sure I would have run into the same issue anywhere. 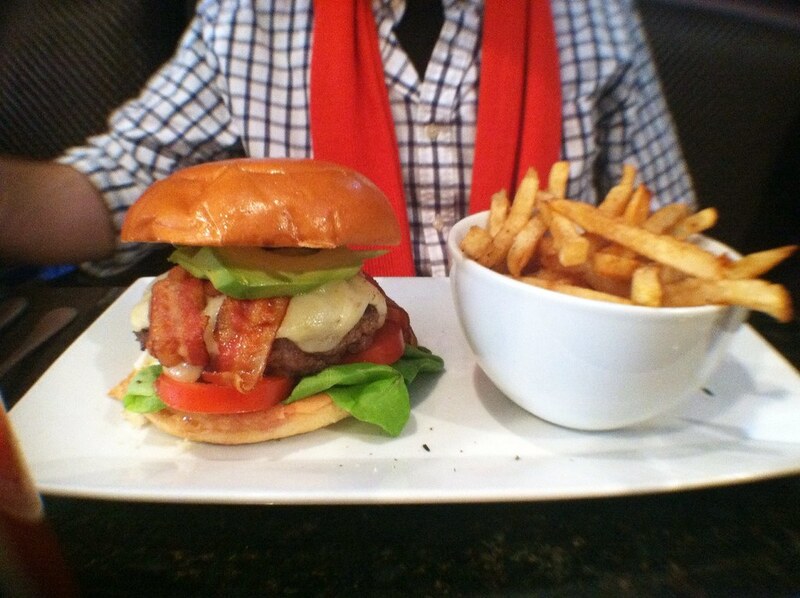 Plus, the portion sizes, the very warm staff, and the zippy bloody marys made up for any of the negatives. Their Bloody Mary was no joke. This was so good. You and Carl need to get out to the states and visit me. I will pork you guys up.